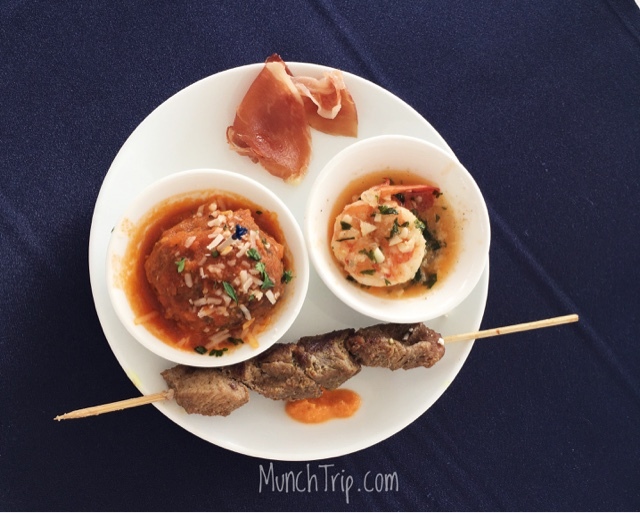 We tried food from the Ibiza Beach Club Cebu's Brazilian inspired Tapas menu and I found my bliss. This is chapter three of my Movenpick story. Read Chapter 1 here Picturesque Beautiful Location By The Sea in Mactan Cebu. I had an Italian meatball, Garlic Shrimp, Jamon Serrano (Spanish dry-cured Spanish meat) and a Lamb Kebab. I looked at my plate, and realised I had unintentionally made a smiling face out of my food. The Italian meatball. Served as a meatball with a toothpick in a sauce dish with tomato puree then sprinkled with grated parmesan and basil. I expected it would be enough as one bite, because of the toothpick, but nope. It clearly was a mistake to put the entire meatball in my mouth. I'm guessing it was steamed so it retained the juices of the ground beef. The Jamon Serrano looked like a very thin bacon strip with less fat. 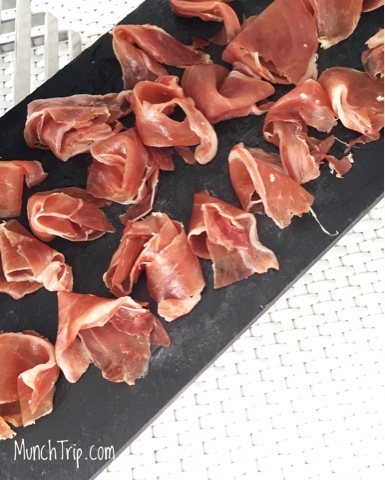 I have not eaten Jamon serrano before. I took it using the toothpick for the Italian meatball and ate it immediately. The texture was smooth and kind of slippery but chewable. I found it sweet like a beef jerky and not salty. It was interesting. The Garlic Shrimp I felt was the food that best paired with my view of the sea. Served in a sauce dish as well with yellow butter garlic sauce. Nothing like eating something from the sea by the sea. It tasted good and light. The only thing is you must eat it right away or it might become dry and tough. Also good if you flip the shrimp on the other side to dip it again in the sauce. The Lamb Kebab is the same. Eat it right after it is served. 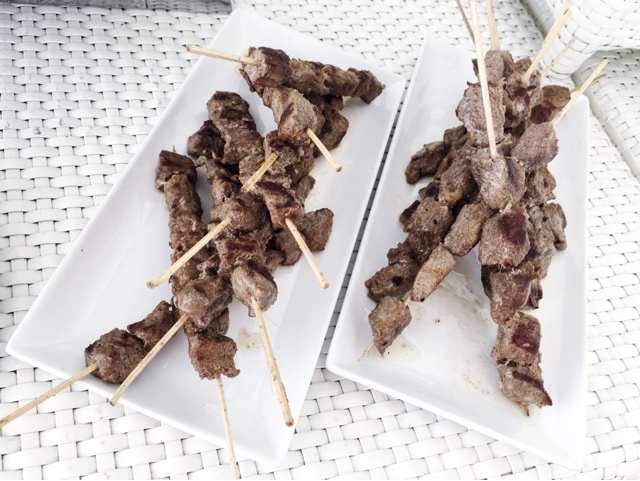 Unfortunately, I am not a big fan of lamb so I was not able to finish all the meat on one stick. When ice cream came, my eyes twinkled. 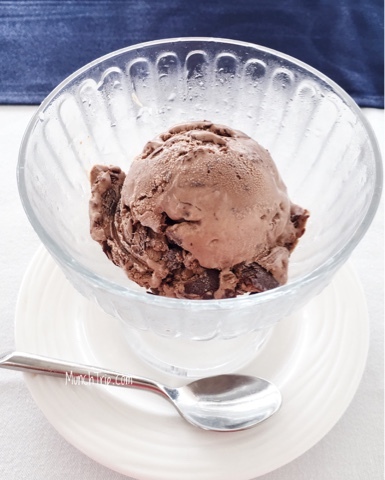 I saw a brown scoop with shards of chocolate. Quick photos before it melted. I took a spoonful and the ice cream danced on my tongue. As it melted away, pieces of the dark chocolate remained and danced until it fully enveloped my taste buds. 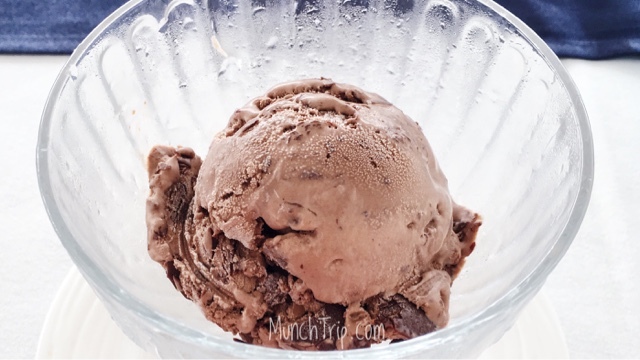 No doubt about it, my favourite on this Cebu Food Crawl 2016 stop was the Movenpick Swiss Chocolate Ice Cream. I also had an ice coffee, that I really appreciate the bar making it with the sweetener placed in a separate shot glass so I could control the sweetness of my drink. After finding my bliss in that scoop of ice cream, I just let myself enjoy the rest of the afternoon chatting with good company and walking around. So there you go. That was my experience munching on some tapas and ice cream during my afternoon trip to Movenpick. Catch you again on my next munchtrip.